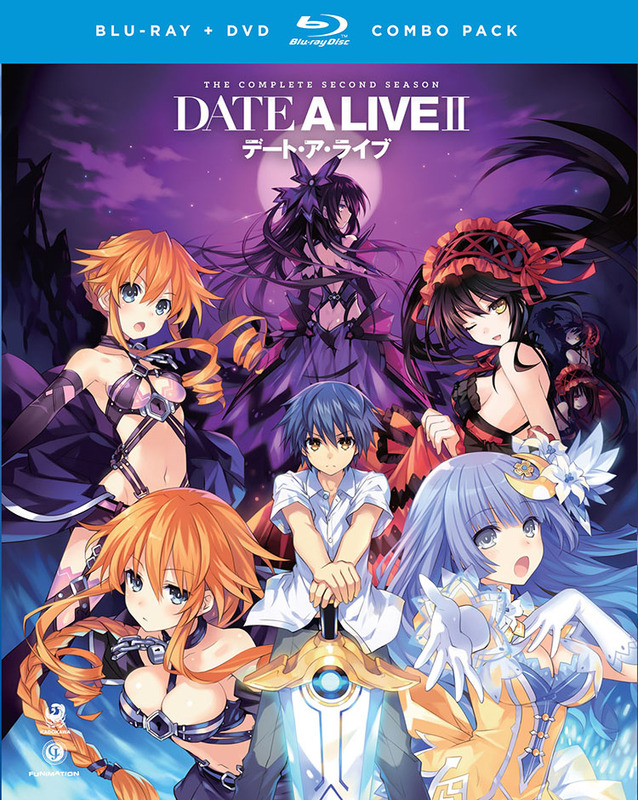 This Date A Live II collection contains episodes 1-10. Shido and his assembly of adorable aliens are back in the second season of this sci-fi rom-com romp! Itsuka Shido was a once a normal high schooler. But after a spacequake started by an armored girl rocked his world, life was never the same. Tohka, the extra-cute extraterrestrial continued to wreak havoc until Shido sealed her powers with a loving kiss. For a guy whose kiss can seal a Spirit, Shido’s still not great with the ladies. In addition to the sealed Spirits he already must appease, he’s got three more beautiful girls with volatile powers vying for his attention. And with a mysterious organization on the hunt for Tohka, the DEM’s various attempts to subdue Fraxinus, and a new lady loving Spirit, Shido can kiss his normal life goodbye! Special Features: Episode Commentaries, News Flash, Textless Songs, U.S. Trailer, Trailers.